The Personal History Documentaries process is very simple. After you choose the type of documentary you think that you would like and that fits your budget, we will ask you to complete a questionnaire and a basic timeline of the subject’s life, helping to clarify both the specifics of the documentary as well as its overall tone and theme. In addition, if you request a package that includes such, we will also help you prepare the various media (photos, slides, home movies, heirlooms & artifacts) that you would like to have incorporated into the documentary. For those of you who want more involvement in the specifics of the documentary, this will be the time to communicate your wishes to us. For others who prefer a hands-off approach, we will gladly manage those creative decisions. After we review the questionnaire, timeline, and media, we will meet with you to finalize the details of the personal history documentary, at which point production….filming……… will begin. Depending on our existing production schedule, we can deliver a completed project 3 to 8 weeks after receiving all materials (under certain circumstances, an expedited schedule may be possible). 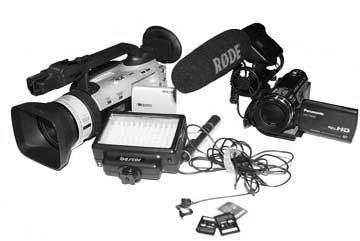 Personal History Documentaries uses the latest professional equipment…….state of the art video cameras, (Hif Def if requested), the most current audio microphones, editing software and hardware technology in all facets of our work. We are able to restore and retouch worn photographs, transfer film and video to digital format so that it looks as good as (or better than) the source footage, research and add relevant historical & archival images. 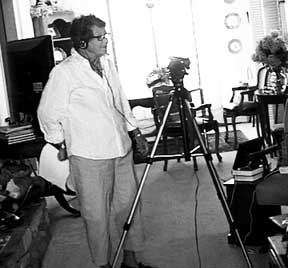 Shooting interviews, we employ professional lighting, microphones, and cameras to ensure broadcast quality. Our editing and DVD-authoring system is also state-of-the-art, allowing all elements—visuals, music, words, graphics—to come together as a seamless whole and a superior production.